Home » The Watering Hole » We have all your favourite Cocktails! It’s always a cocktail party at Zizi’s Restaurant and Ladies Bar! We have all your favourite Cocktails and even a few that might become your new favourites. 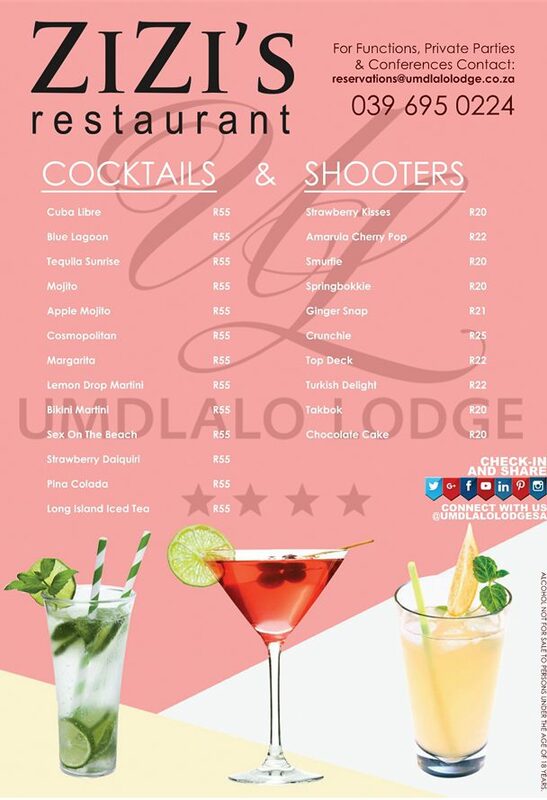 So browse through our mouthwatering Cocktail Menu, enjoy a few cheeky shooters and indulge in the fashionable Ladies Bar overlooking a substantial veranda with sea view. 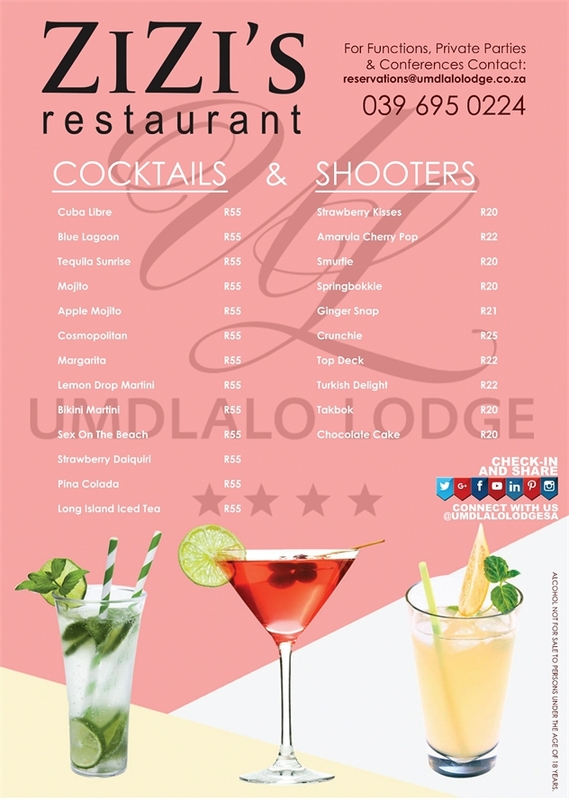 Zizi’s Restaurant is a unique venue of taste located within Umdlalo Lodge, CLICK HERE to view full menu. Based in Umtentweni on the KZN South Coast, Umdlalo Lodge is an upmarket Four-Star Guest Lodge with eight luxurious air conditioned en suite bedrooms plus a romantic honeymoon suite. We have flexible capability to host day conferences for up to 60 delegates.